Anatoliy Stepanovich Tkach was born on April 11, 1939 in Dnepropetrovsk. He studied at Dnepropetrovsk Art School (1965) and Kiev Art Institute (1972). His teacher was Viktor Shatalin. Since 1955 he has been taking part in regional, republican and Union exhibitions. 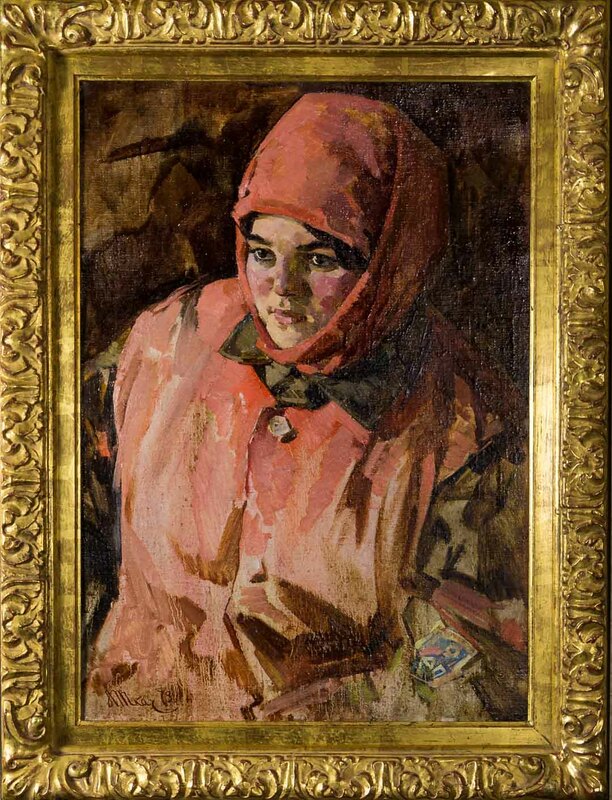 The works of the artist are in the Dnepropetrovsk Art Museum and private collections. Important works include “Metal and People” 1972, “Duel” 1973, “Peaceful Morning” 1975 and “Memories” 1985. He has been a member of the Union of Artists of the USSR since 1974 and was named an Honored Worker of Arts of the USSR since 1979. He received a “Medal of Honor” award from Ukraine in 1987. He is listed on page 318 of Matthew Bown’s, A Dicitionary of Twentieth Century Russian and Soviet Painters.